Rontis participated as an exhibitor in the official annual meeting of the European Association of Percutaneous Cardiovascular Interventions (EAPCI) and the world-leading Course in Interventional Cardiovascular Medicine, which took place in Paris from the 16th to the 19th of May, 2017. 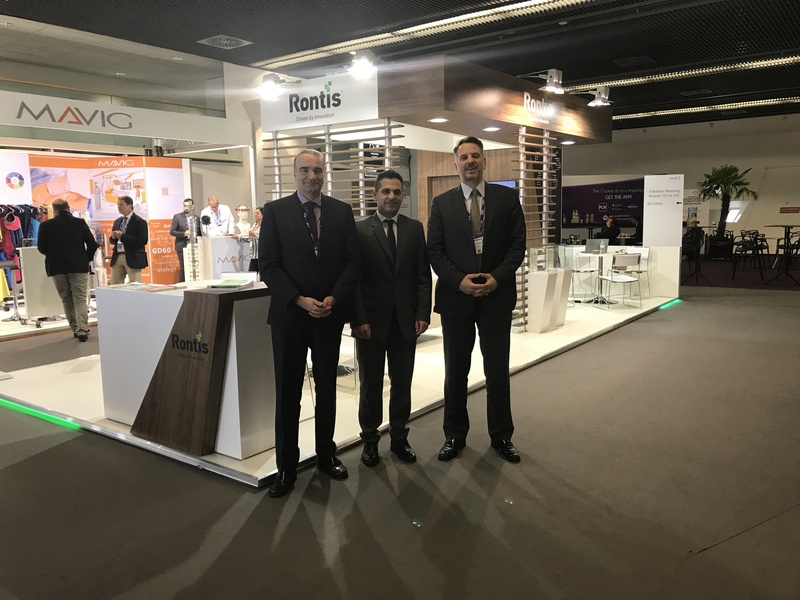 It was the 15th consecutive year of Rontis’ presence in the EuroPCR congress. Our team joined a dynamic and international forum, comprised of more than 10.000 participants, representing leading medical and industrial establishments in the field of cardiovascular & interventional medicine. This year especially, EuroPCR attracted particular attention due to the celebrations for the 40th anniversary of Angioplasty. Rontis had the opportunity to discuss our portfolio and services with current and future partners, who demonstrated a keen interest to distribute our products in various countries, in our booth which was positioned amongst some of our leading competitors. Its open floor configuration set a standard of excellence. Thus, our team strengthened further our presence in the global market and our competitive position in the evolving medical device technology. We look forward to participating in the next EuroPCR exhibition in 2018!